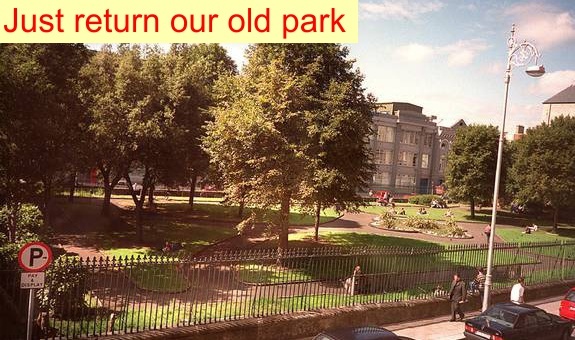 You are invited to submit your observations of the Dublin City Council plans for Wolfe Tone Park. 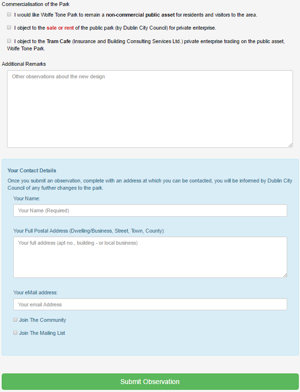 The Wolfe Tone Park Community have developed this simple portal to facilitate your submission. We welcome all submissions; follow the link below. 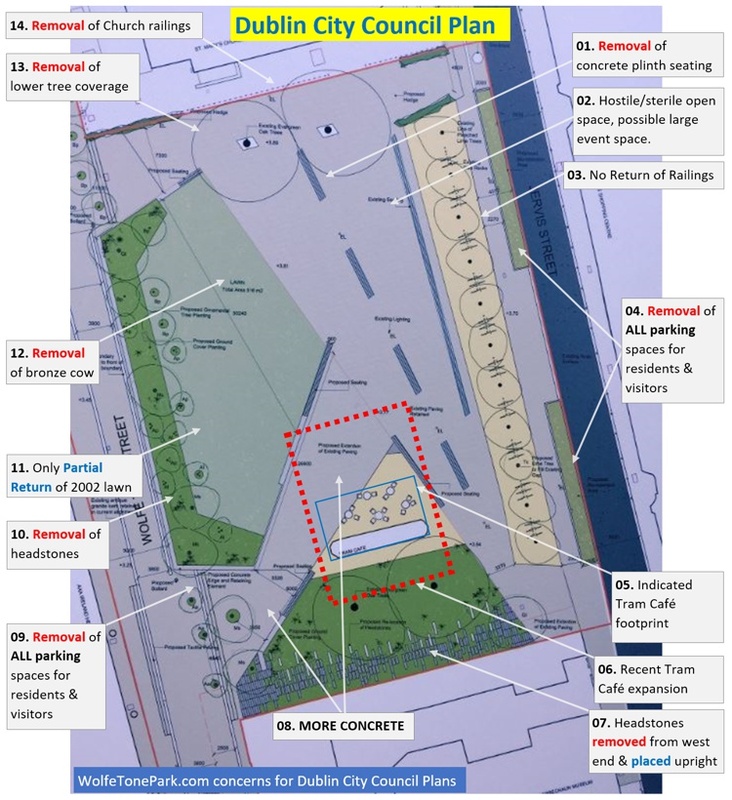 Removal of all parking for residents and visitors to the park. 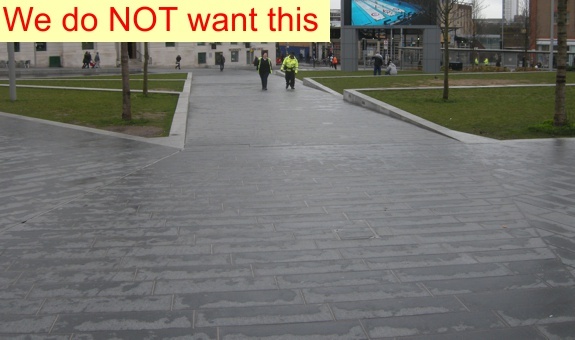 Return of compromised lawn element, even smaller than the failed 2001 design. Wide open concrete space for more events. 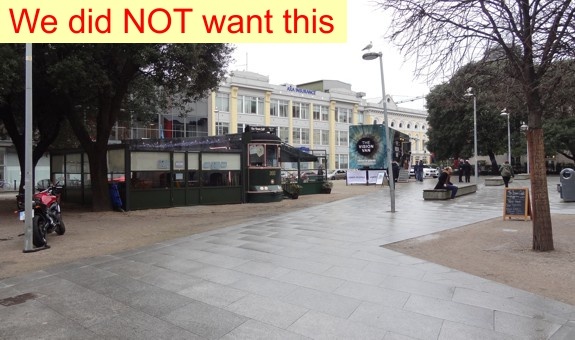 Shop to remain trading, as Tram Cafe, on the south end of the park. 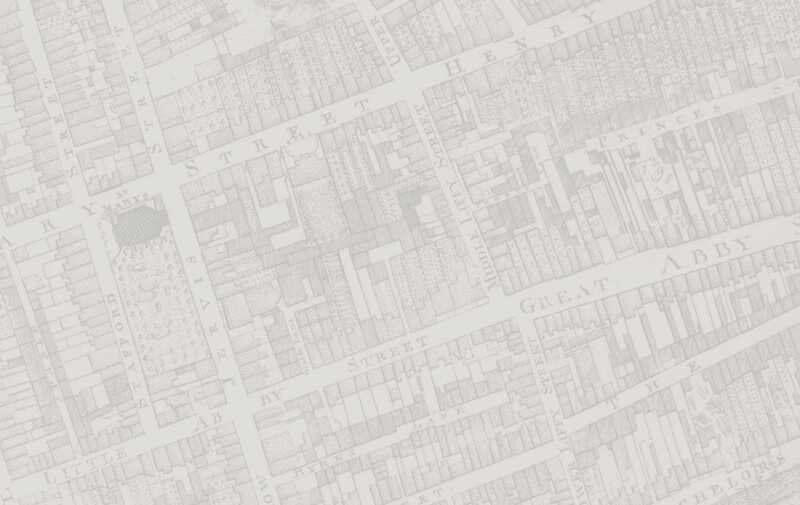 The tram has already grown by approximately six times (6x) it's original 2016 footprint. 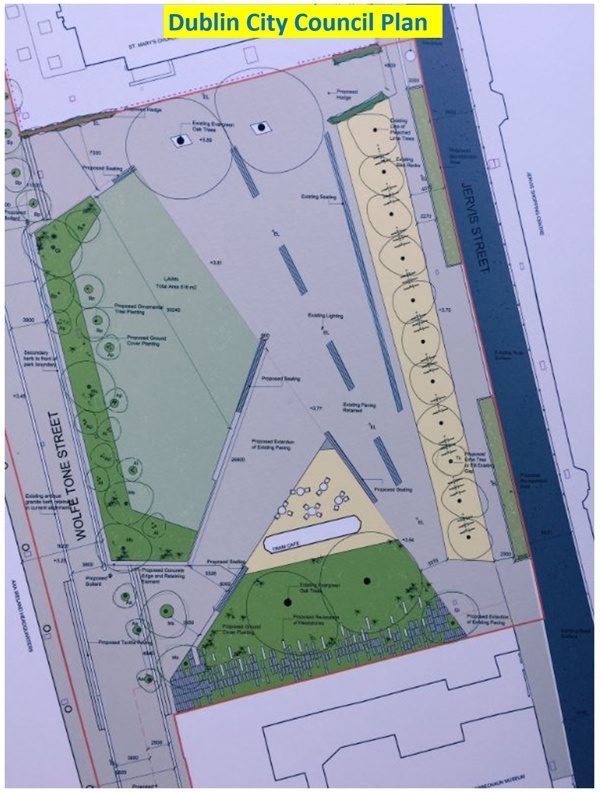 Addition of a new monument along Jervis Street. Removal of railings separating the park from the Church property. Removal of headstones from the west side of the park, and relocated behind the tram.